There has never been a better time to undertake an apprenticeship, with opportunities across to the sector to develop a rewarding career in care. Apprenticeships offer you similar qualifications to those you would gain at college and in sixth form, but also give you invaluable practical experience - and you also get paid at least £5,460 a year training allowance. You can currently undertake an apprenticeship in social care by completing an Apprenticeship Framework, but there are exciting changes to apprenticeships qualifications which help you start on a clear career pathway. Apprenticeships are still a work-based programme of learning for a specified amount of time - anywhere from 12 months to two years - leading to a recognised qualification, or set of qualifications. Despite a common perception that apprenticeships are only available to the over 18s, anyone aged 16 and above is eligible. Apprenticeships are also suitable for more experienced workers - as well as those who have not worked in adult social care before. We can offer advice, support and information about care apprenticeships, and put you in touch with one of our care professionals to find out what it’s like to work in the sector. As well as having a chance to learn and earn, employers see a multitude of benefits from taking on apprentices – including raising the organisation’s profile and improving their quality of care. All apprentices need to meet values based recruitment standards. 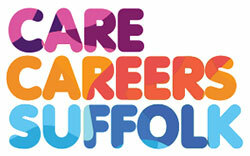 Why not find out what one of our apprentices has to say? Click here. If you've been thinking about working in social care but aren't quite ready for an apprenticeship, you could try a work placement. A work placement means you'll be based within a care setting for a few weeks - but you won't be doing an apprenticeship so there are no formal training and qualification processes to follow. Perhaps you are a sixth form or college student? A work placement can run alongside your studies. 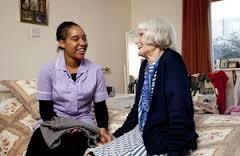 It will give you a chance to get some experience if you have already chosen to study adult social care qualifications. Work placements are totally bespoke. We can help you find a care provider near where you live, with good transport links to get you there without any hassle, in a role you think you might enjoy. The whole experience should give you the chance to get an idea of what it's like to work in social care - without any strings attached. If you like it, the work and the people, you could think about applying for an apprenticeship.